« Creativity Explored: 50% Off Art Sale Creativity Explored Loves You! Develop the knowledge and skills to create your very own taxidermy squirrel with Paxton Gate. This one-day comprehensive class is both fun and instructive. 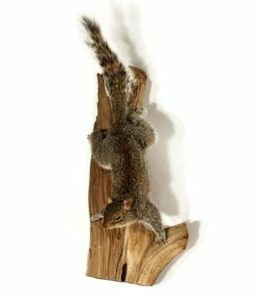 You will be taught the complete process step-by-step to create a finished squirrel mount. You’ll learn techniques from skinning to sculpting forms and finishing touches. Bases or wall mounts will be provided so your final product can be properly displayed. Your squirrel, all materials, and tools will be provided for the day of the class. Your finished taxidermy speciment will go home with you to grace the walls or tabletops of your space. Cancellations must be made at least 72 hours prior to the date of the class. Cancellations will be converted to credit that can either be used toward merchandise in the store or to enroll in another workshop. Cancellations made less than 72 hours prior to a class or failure to show up to a class will result in no refund or transfer. Sign up early to ensure your seat. Unfilled classes will be rescheduled.